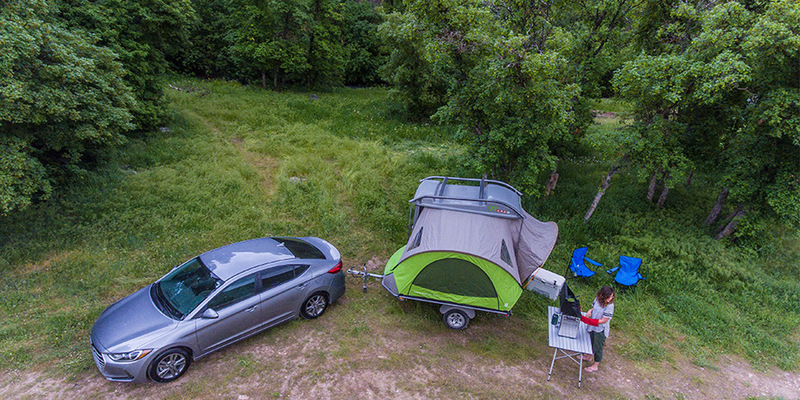 Are you planning on car camping this Memorial Day? You’ll need reliable—yet portable products that offer practicality. 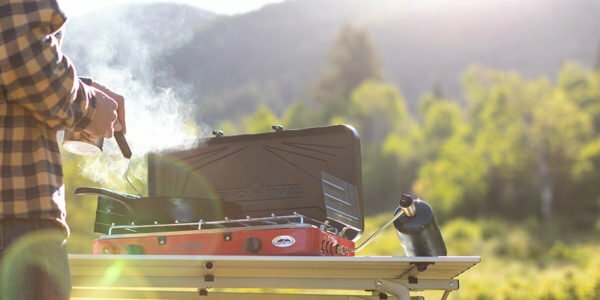 Camp Chef has created a niche within the outdoor cooking industry, creating hundreds of products rugged enough to accompany you on your weekend adventures. 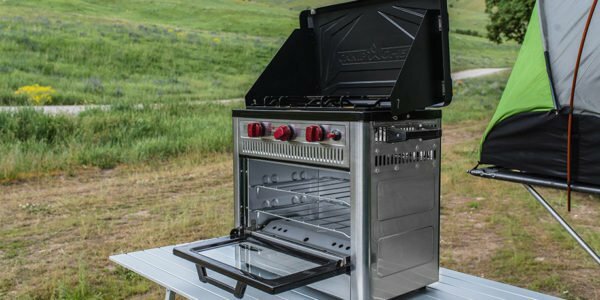 Every camping enthusiast needs to add an outdoor oven to their campsite stock pile. Great for emergency preparedness—even better for the upcoming camping season. Bake, sauté, fry, and more all on one convenient unit. Plus, use the thermostatic controls for an even more controlled cook. You can make hundreds of meal combinations on the Summit Stove. All you need is a bottle of propane, cooking oil, and a surface to cook on. Pack a fry pan or better yet, pack your favorite piece of cast iron—you’ll be set for a weekend car camping trip. The Summit Stove seamlessly transitions from breakfast to lunch. Fry bacon and eggs in the morning then switch to grilled cheese and tomato soup at lunch. Utilizing every inch of space is key to a successful road trip. 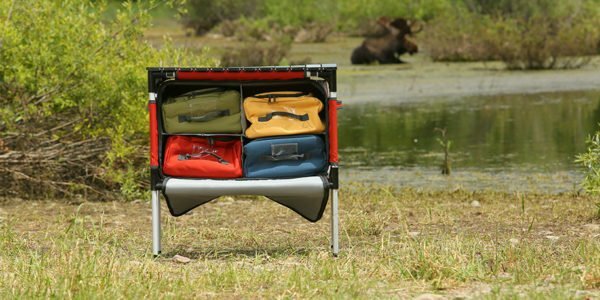 The Sherpa Table and Organizer is equipped with four convenient pouches that offer extra storage space. Pack nonperishable food items, spices, utensils, and other camping necessities. Its packed specifications (15 ¾ in. x 27 in. x 18 ¼ in.) is trivial compared to the overall usability of the Sherpa Table and Organizer. During the summer it’s often that fire bans are in full force but that doesn’t mean you need to stop the heat. Most propane powdered fire pits are a great alternative to burning wood at the campsite. 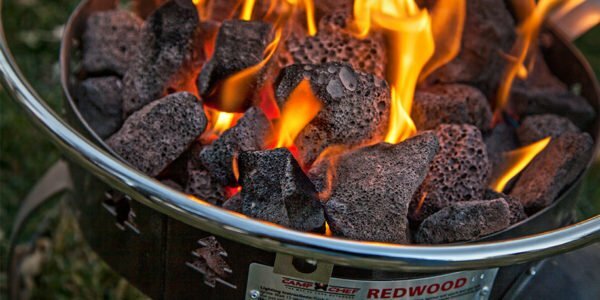 Get the most bang for your buck by picking up the Redwood Fire Pit with two roasting sticks and a convenient carry bag. Small in size but packed with power, the Stryker Multi-Fuel Stove is perfect for those who run on both isobutane and propane. 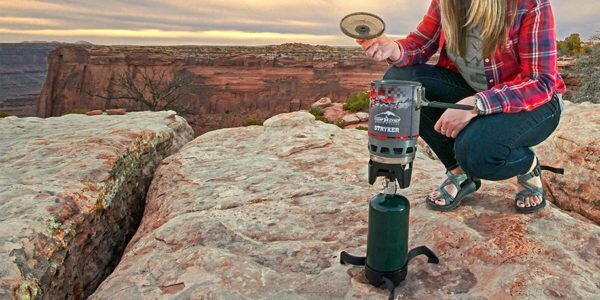 The Stryker 200 was recently featured on Outside Online’s Best Backpacking Stoves of 2018, as the Best Stove to Keep in Your Car. This is a must pack for our on-the-go adventure seekers. What are your favorite products to take car camping? Let us know in the comments below! Please, I want to know more about that tent arrangement in the photograph. The tent is from our friends at SylvanSport. Happy camping! We may not have a table top smoker but we did just launch our portable pellet grill. Check out the Pursuit Pellet Grill!